It's been almost a month now, I have no blog post yet. I do not blame me for this delay, I balme my college (Like in telugu Movie Bomarillu Dialoge "Antha college ee chesindi!!" ;)haha! ). Finally my Fall Semester started and I am having classes every day for this sem. As ususal assignments started from Day 1. Taking a little time to post this yummy recipe. For me bread always used to be an excuse when I was young, I used to think that bread and apple is only for those who fell sick. As we grow up our choice and taste will change along with time. Now, bread is must in my weekly grocery list. It is like an all purpose food. We can make filling and appetizing snacks, breakfast n many more with in no time. 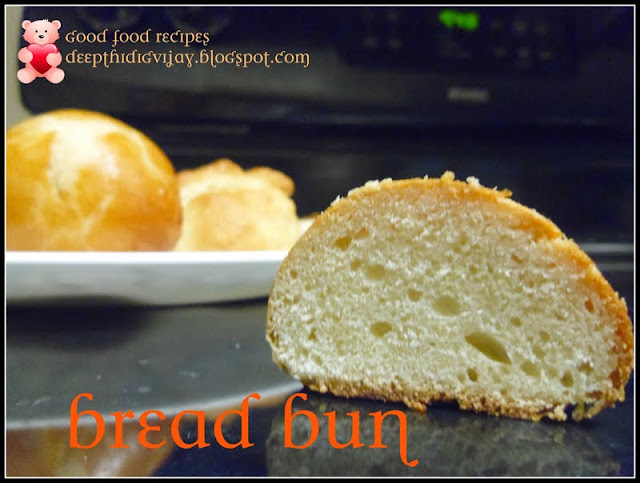 If you have any extra bread in your home and it is soon going to expire and you do not know what to do, then here is the excellent recipe for you, that is instant and super delicious. Grate the potato with a large pore grater. You can mash it as well but while mashing we get some clumps. Grating will yield more smooth stuffing. Now heat 2 tbsp of oil in a skillet and add grinded onion, ginger garlic paste and keep sauteing till the raw flavor of onion goes away. Then add turmeric, cumin powder, salt and coriander powder and mix well. While all the ingredients are finely done, add potato and cilantro and turn off the stove. Take the bread slice and tear the edges off. Heat oil for deep fry under medium flame. Wet it in a water for a fraction of a second and immediately press it between your palms to squeeze excess water. The bread should not be too dry or moist. Take 1 tbsp full of potato filling and put it at the center of the bread and bring all the edges of the bread to top of it and close it. smoothen it whith your palms. Fry these dumplings under meduim heat untill brown. Serve hot with green chutney or just sprinkle chat masala on top and serve. These Bonds are vey crips and you can add lemon juice to the potato stuffing before filling them to bread, this imparts a tangy flavour to the recipe. Hope you like it. Super crisy bondas,feel like munching some. 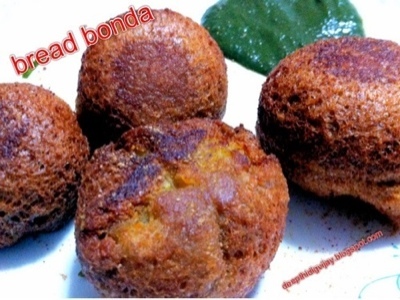 Looks so crispy and yumm..
wow... bread bonda looks delicious.. yummy! Thnak you all for stopping by and levaing your message!!! Nice story..first time here lovely blog..